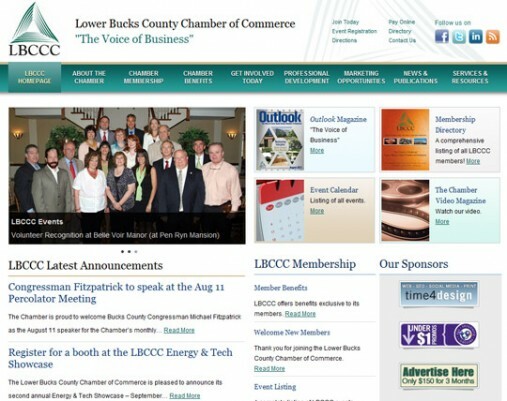 It was a year ago when we were contracted to work with the Chamber of Commerce website redesign. You can imagine how excited we were once the site officially went live on August 1st 2011. The website has already received many positive comments on its architecture, visual presence, and improved navigation structure. The Lower Bucks County Chamber of Commerce is a leading organization dedicated to promoting business in the Lower Bucks County region. Members represent small, medium and large business in an area encompassing 22 municipalities in Lower Bucks County. As this project continues to introduce us to LBCCC members, we look forward to the coming years and serving Bucks County Best Businesses.